Born in 1954, Scott Henderson grew up in an era where blues-rock was at it’s peak. His formative musical years took place in South Florida where he played the clubs with all kinds of bands playing everything from Led Zeppelin to James Brown. As he was learning his instrument, Henderson was influenced by Jimmy Page, Jeff Beck, Jimi Hendrix, Ritchie Blackmore, and the great blues guitarists Albert King and Buddy Guy. Scott finished school at Florida Atlantic University, then moved to Los Angeles where he played and recorded with Chick Corea’s Elektric Band, with violinist Jean-Luc Ponty, bassist Jeff Berlin and “Players”, and a four year stint with Weather Report’s Joe Zawinul. Henderson formed the band Tribal Tech in 1984 with bassist Gary Willis, and after nine critically acclaimed albums, with the newest “Rocket Science” released on the ESC/Tone center label in November 2000, Henderson has proven himself as a world class player and composer. 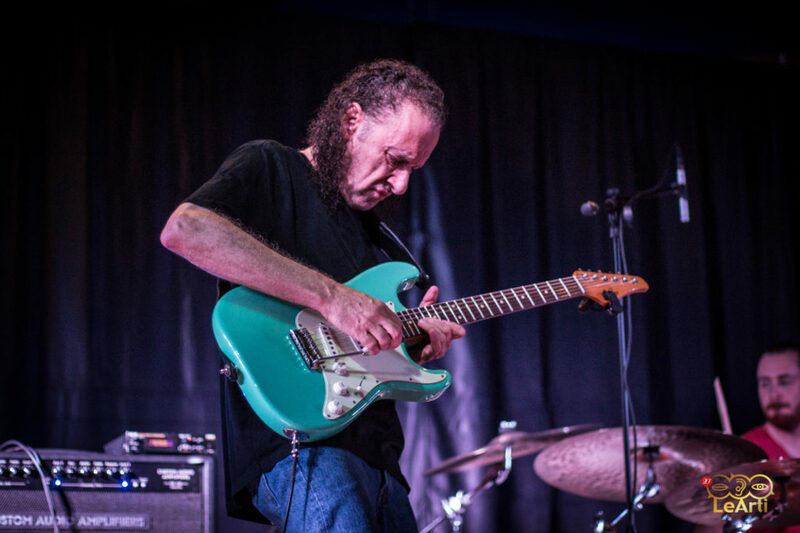 In 1991, he was named by Guitar World as the #1 Jazz Guitarist, and in January 1992, he was named #1 Jazz Guitarist in Guitar Player’s Annual Reader’s Poll. His first solo blues album “Dog Party”, a welcome retreat to his musical roots, won best blues album of 1994 in Guitar Player. The second blues album for Mesa/Bluemoon Records pairs Henderson with legendary vocalist Thelma Houston. “Tore Down House” was released in April 97, and received four star reviews in Jazz Times, Guitar Player, Guitar, Guitar Shop, and L.A Jazz Scene Magazines. “Well to the Bone”, Henderson’s third and most accomplished work as a leader, is a trio record currently being played live by his band featuring John Humphrey on bass and Alan Hertz on drums. 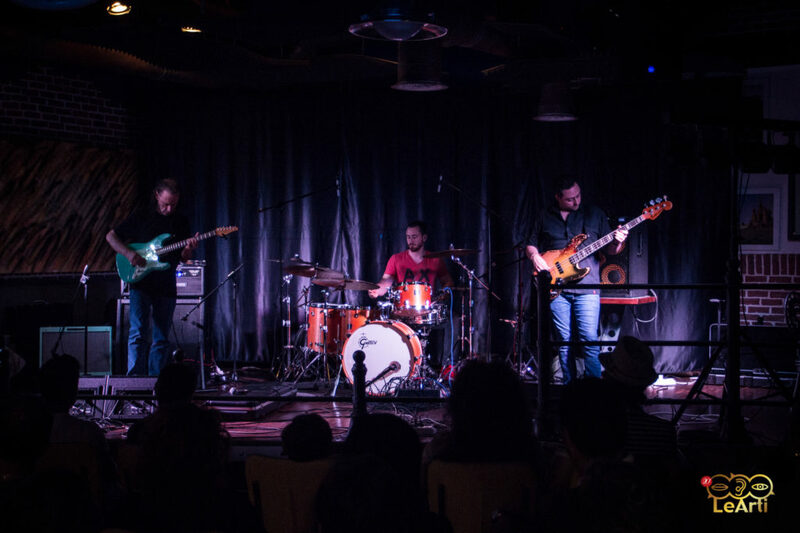 The trio has toured extensively in the U.S., Europe, South America and Japan, playing music from the blues albums as well as some of Henderson’s music recorded by Tribal Tech. Scott has also released two albums with “Vital Tech Tones“, a trio collaboration with bassist Victor Wooten and ex – Journey / Vital Information leader Steve Smith on drums. As is often the case with a musician of Scott’s caliber, the demand is great that he share his knowledge with the current generation of guitarists. He is on the faculty at Musician’s Institute in Hollywood, and has written columns for Guitar Player, Guitar World and Guitar School Magazines. Alfred Publishing has released Henderson’s two instructional videos; “Jazz Fusion Improvisation”, and “Melodic Phrasing” on one DVD entitled “Scott Henderson – Jazz Rock Mastery”. The Scott Henderson Guitar Books, two collections of his compositions, are available through Hal Leonard Publishing, as well as his newest book “Jazz Guitar Chord System”, a revolutionary way for students to study the pluralities of jazz harmony.